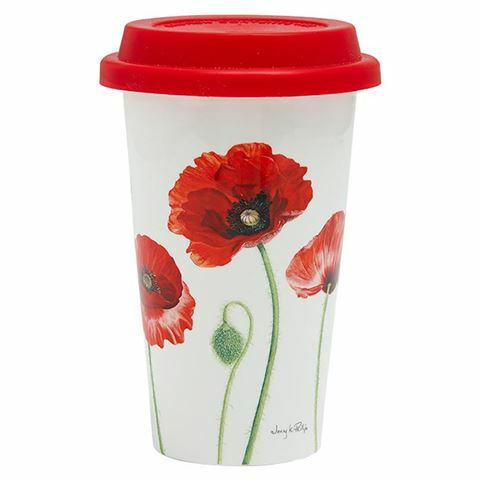 When you want to take some Australiana with you wherever you go, then consider Ashdene's Australian War Memorial Poppies Collection Double Walled Reusable Travel Mug. Made from new bone china with a silicone lid. Designed exclusively for the Australian War Memorial. Keeps hot beverages to temperature and cold beverages chilled.